Beneficiaries of the National Insurance Trust Fund (NITF)'s healthcare services will now be eligible to seek treatment at any hospital under the Asiri Group of Hospitals following the recent signing of a memorandum of understanding (MoU) between the two organisations. As a result of the MoU, Asiri Group of Hospitals will now serve as the preferred healthcare provider for the NITF, thereby enabling Government sector employees covered by the NITF's health insurance scheme ‘Agrahara’, to seek high quality private healthcare services and advanced medical facilities at discounted rate from any hospital in Asiri group or its laboratories. With over 2 million state sector employees currently being registered under the programme, NITF's ‘Agrahara’ represents one of the single largest groups of health insurance beneficiaries in Sri Lanka. 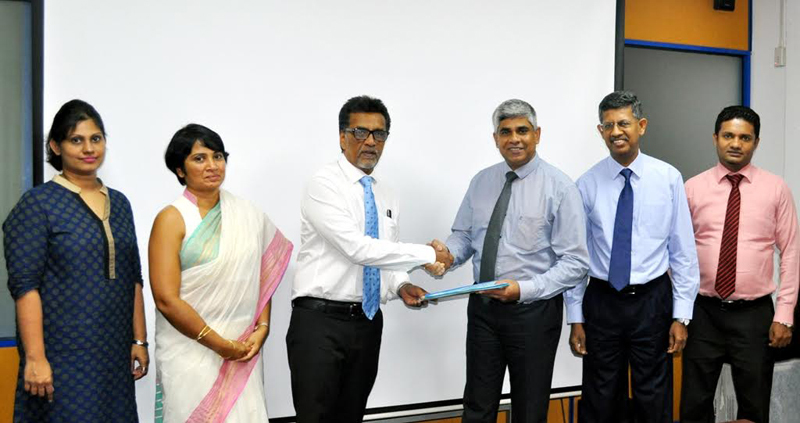 The MoU was signed in the presence of NITF Chairman, Manjula De Silva by NITF CEO, Sanath C. De Silva, and Asiri Hospitals Group CEO, Dr. Manjula Karunaratne. NITF beneficiaries will also be provided access to further discounts for CABG, renal transplants, neurosurgery and special rates on PET scans and other radiology imaging services, in addition to special discounts on room rates and no-deposit admissions with cashless settlements of bills. Backed by over 30 years of experience in healthcare Asiri Health is owned by the Softlogic Group and is comprised of Asiri Surgical Hospital, Asiri Medical Hospital, Asiri Central Hospital, Asiri Hospital Matara and Asiri Laboratory Services.